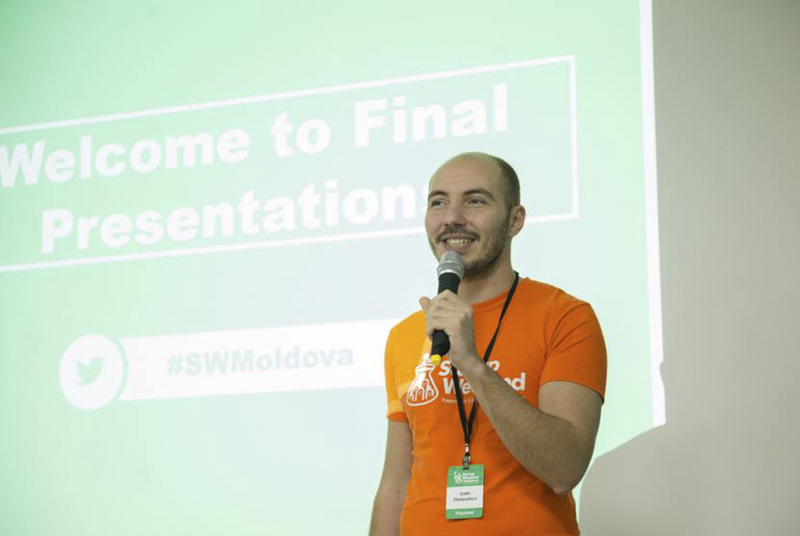 Last weekend Cristi, ThinkOut co-founder, was one of the mentors at Startup Weekend Moldova. It was a good opportunity to get the pulse of the startup life in the neighboring country and connect with founders and mentors of the international the startup environment. Following this event, we got to interview Galin Zhelyazkov who, besides being a Startup Weekend facilitator, is also an entrepreneur. He offered us his insight of what it takes to lead an entrepreneurial life. First, a few words about Galin: he has been a facilitator for the Startup Weekend events in both Europe and Australia since 2013. He has a true passion for the startup world and is, as he calls himself, a “true Serial Technical Entrepreneur”. He started his first IT company when he was 16; 2 years later he sold it to the Bulgarian national telecom company. He’s been developing new start-ups ever since, building their structure and internal operational processes. Apart from the entrepreneurship experience, Galin has a solid technical theoretic background with a degree from Goteborg University in Sweden in Applied IT and another in Global Innovation Management from the Strathclyde University in Scotland, UK. ThinkOut: How did you enter the Startup Weekend community? Galin: A friend of mine that studied together with me at Swinburne University in Melbourne, Australia, was a volunteer at Startup Weekend Melbourne and he invited me. I’ve pitched my idea and developed my startup Gofreight.com.au . When returning to my hometown Varna, in Bulgaria, I’ve gathered all participants of the local business ecosystem and with joint efforts we’ve made the first Startup Weekend Varna. Since 2015 I’m an official facilitator of Startup Weekend events and travel a lot to help local communities. ThinkOut: You are a startup owner yourself. How is it like to be a mentor for other ”startupper wannabes”? Galin: The feeling to help others is really nice and I’ve always encouraged successful people to give back to their communities by helping new startups. The feeling of being an entrepreneur is amazing, but quite often CEOs have to wear many hats and to solve a big number of problems together to stay motivated for their teams. That burns them out and they need help from a business mentor or a business angel. For me, personally, it is a pleasure to mentor teams and entrepreneurs and to see them succeed. ThinkOut: What were the most frequent pieces of advice you gave to the startup teams? Galin: Validate, Validate and again Validate. Startups are based on an innovative idea which is based on assumptions. Every team must make sure they validate all these assumptions correctly. For Eastern European startups, there is one more piece of advice: Sales, Sales and again Sales. Quite often entrepreneurs are devoting their time to the development of the perfect product/ service, but forget the important part of sales. ThinkOut: Do you think events like Startup Weekend are more likely to increase the number of entrepreneurship initiatives? Galin: Yes. I’ve seen some many people infected with the entrepreneurial virus on Startup Weekend events. Just think about it: for 54 hours people go through all phases of developing a business. It is like a quick university course but been evaluated by life. Once being part of such an event, people are checking if they are entrepreneurs and are ready to start their journey of building startups. ThinkOut: Should people participate in Startup Weekend events even if they don’t have an idea? Galin: For sure, as I’ve mentioned earlier it is the experience and the opportunity to learn what is to be an entrepreneur. Most people don’t have an idea or they don’t consider it innovative and therefore they are prohibiting themselves to take part in events like Startup Weekend. But if everyone had an idea, how would they be able to form teams? I strongly encourage people to join any entrepreneurial event and see if entrepreneurship is the right thing for them. ThinkOut: Do you think that starting a company is a doable thing after attending an event like Startup Weekend? Galin: Absolutely. Startup Weekend gives participants a basket full of tools that will help them during the entrepreneurial journey. The skill set of how to pitch an idea, how to form a team, how to sustain and lead a team, how to seek the right mentors and investors, how to work under huge pressure, how to work with limited resources, etc are provided and therefore I believe it is a doable task to start your own company after Startup Weekend event. However, one should not stop learning and look for more opportunities to gain more knowledge how to help its startup. ThinkOut: Talking about the future of the business world, how do you think the entrepreneurial ecosystem will look like in Eastern Europe? Galin: I’m not ready to make such a prediction of the future ecosystem in Eastern Europe, but if I’m allowed to dream positively, I hope it will be well connected and will be comprehensive. Universities, governments and policy makers, finance sector will understand the need of joining efforts together to build a sustainable ecosystem. Currently, the ecosystems in Eastern Europe are developing very fast and in just a couple of years not only the capital/major city of each country has its ecosystem, but also the secondary cities. Currently, I believe they will all work for making them sustainable and not dependent on one or two organizations and next step will be to connect these small local ecosystems. ThinkOut: Running a startup involves finding the right solution for a real need, a good team and, also, some business knowledge. How much should a founder rely on financial planning when building a startup? Galin: Financial literacy is what distinguishes many successful entrepreneurs from the ones with a great idea and a team and a failed startup. Businesses most often fail, because they didn’t plan the finance part well. What will happen if we have 30% higher sales, will we be able to scale quickly? what will happen if we get delayed payments? etc. are the problems entrepreneurs never consider early enough. ThinkOut: Statistics show that one of the main reasons for startup failure is running out of cash. From your own experience, how much do you think a proper cash flow management would raise the chances for a startup to make it? Galin: This question brings me back to the previous one and I fully agree that businesses fail mainly because of bad cash flow management or secondary reason is bad relations between co-founders. There are many tools for cash flow management that entrepreneurs can benefit from online. ThinkOut: A piece of advice for the future-to-be entrepreneurs, from both the mentor and the startupper point of view? Galin: First and most important – Never give up, if the customer is not ready to buy it in this package, go back, repack it and go back to the customer and repeat it until the customer is ready to buy. From a personal point of view, when things get hard, don’t panic and stay quiet, hoping it will pass – this is the time when you, as an entrepreneur, should be very active and looking for new opportunities for your business and your team. The ThinkOut Blog explores ways for entrepreneurs to enjoy independence and better run their business. Join our subscribers and get the best articles delivered via email.